Time To Get Organised – Make 2018 Your Best Year Yet! Seasons in your HiRUM PMS indicate different periods so that different minimum stays and rates can be set up. Simply go to units, click on the guest tariffs icon, click into the seasonal table and then click insert. Continue loading the seasons until all periods have been added. Please note that as Low Season is set for an infinite period, HiRUM will always consider low season to be active, unless there is another Season set. The same season number can be used multiple times, when the same rate is to be used over different periods (i.e. Season number 2 can be used at Easter & School Holidays). A different minimum stay can be set for each of these seasons (e.g. min 4 days over Easter & min 5 days over September Holidays). Once the period has expired, you can go in and delete that particular season. 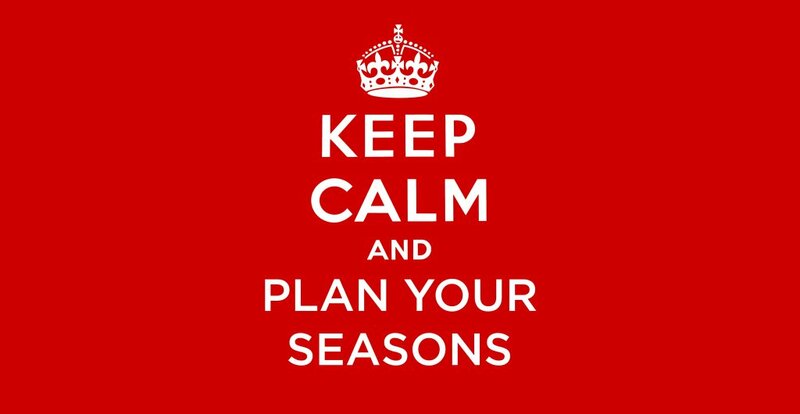 Setting up HiSITE seasons will save you time and effort when updating your rates to all your channels. 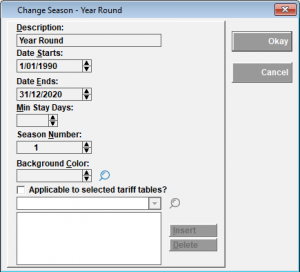 Instead of entering each date range and the same rate multiple times into the control panel, you will simply select your seasons. 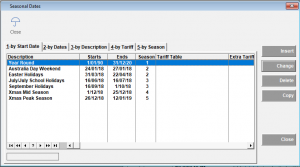 For a full explanation on how to set up seasons in your HiSITE channel manager, visit eLearning. Master Rates & Seasons – the simple way to manage your rates! Tip of the Month – Set your rates for Christmas!